For those of you playing at home. 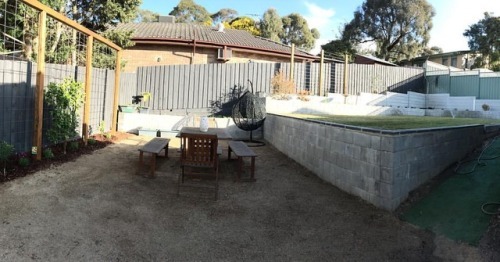 The Greensborough backyard is coming together now with a bit of greenery. Shaun’s handy work on the posts for hopefully some yummy fruit vines to grow.